Sometimes it can be hard to let go of a good thing. In life or publishing this can be a bad thing, as we hold onto something we enjoy past its prime or usefulness. There are times, however, when new life can be breathed into something almost forgotten, to see it arise in glory like the mythical Phoenix from its own ashes. The Avalanche Press series Rome at War I will hold up as an example of the latter. 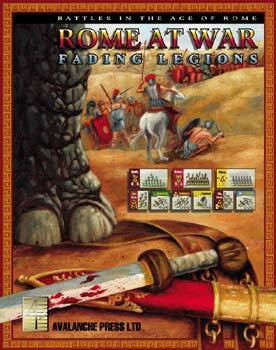 The series' first two games were Hannibal at Bay and Fading Legions. The Avalanche Brain Trust had often spoken of revising the series, but projects abound and there is only so much that can be accomplished. It appeared for a while the series was going to practice its own fade, mimicking the decline of the legions! Then I got a brilliant idea � a hot flash � a brain fart � whatever you wish to call it; such things happen to me, not always at opportune times. I have been fascinated with Roman history ever since watching Spartacus and Cleopatra with my father as a young boy. The idea of designing a game on this era had long been lurking in the back of my mind, waiting for a time to spring to the forefront. With only so many brain cells left to me in middle age, I had no thoughts of wasting the remaining ones unnecessarily. Before I gave the matter serious consideration I contacted Avalanche�s Fearless Leader, Mike Bennighof, to see if there were any plans for the Rome at War series. He wanted the series to be revived, but finding someone to design any new games was the main problem. That was all the green light I needed. The first issue to be tackled was the subject of the game. Roman history spans several centuries and many military campaigns of note. Using the first two games in the series as bookend guide marks, I aimed for a period between them. The time frame beginning with the life of Julius Caesar and extending to Nero, last of the Julian Emperors, is probably the most recognizable. There is certainly enough conflict, both external and internal, to give a designer a few ideas. With the rough time frame narrowed down, finding a military campaign that interested me the most was next. In that, my taste as a gamer, rather than just as a designer, took over. At the local hobby store I frequent we often play Warhammer Ancients, and barbarians versus Romans is a very popular match up. 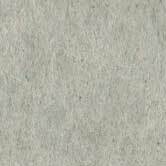 The exact nature of the barbarians vary, mainly Germanic but Gallic and Briton also. The Germans I ruled out fairly quickly. While they are a formidable foe, to cover the most important battles from Marius to the reconquest of the Eagles would be a long time frame. I wanted the game to be more focused. Caesar�s Gallic campaign was desirable, but Julius Caesar is far too often represented in literature and movies, not to mention previously-designed games. I�ll save him for another time. The invasion of Britain under the Emperor Claudius seemed to fit my requirements perfectly. From the initial invasion to the final subjugation, the game could have a theme and coherency that I thought would appeal to many. The campaign and its battles certainly did not lack for drama. Many of the personalities are both noteworthy and praiseworthy: Boudicca for whom the game is named and Caratacus, the great war chief, for the Britons; and Vespasian, a future emperor (and arguably the noblest of those who wore the purple) for the Romans, to name just three. I think fans of ancients games will be pleased, and I certainly know fans of the first two whom had probably given up on a third certainly will be. Hannibal at Bay was billed as a quad game but had a bonus scenario, for a total of five. Fading Legions had 11 scenarios. Queen of the Celts is in between but on the high end, with nine scenarios. The battles covered include both small-scale affairs and those of epic proportions. I won�t detail them here as that information is already on the website. The Roman army in Queen is the classic legion following the Marian reforms. Gone is the large but unwieldy Consular army of Hannibal, and the pathetic shell of its former glory in Legions. Compact and tough, these fellows have a lot of staying power. The Britons are powerful but brittle, and will need some luck to overcome Roman discipline. Like all my games, there is some chrome: Roman elephants and Celtic Wild Women stand out. 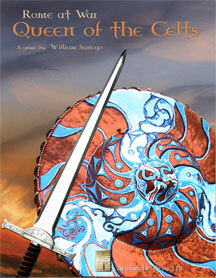 If think you will be more than satisfied with Queen of the Celts. It was a nice, collaborative effort in the best tradition of the Avalanche Collective. The 3rd edition rules make the system flow much better than it ever has and the components are top-notch. So whether you are an aspiring Celt ready to cover yourself in blue war paint, or a noble Roman ready to defend the Eternal City, pick up a copy of Queen of the Celts. You won�t go wrong either way. I hope you enjoy our game. Order Rome at War: Queen of the Celts right now!